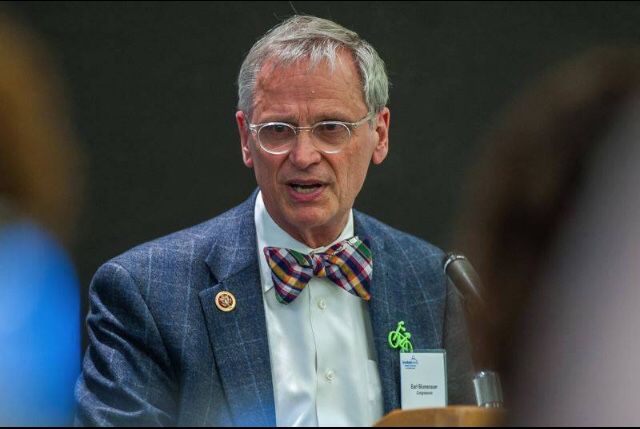 This Wednesday, January 24 in Portland, US Rep. Earl Blumenauer is holding a public forum on his new Food and Farm Act, a bill that would invest in beginning and local farmers, protection of farmland & the environment, and increase food security & access to healthy food.This comes at a time when Congress is looking at how to re-authorize the national Farm Bill, which impacts how agricultural land is managed, how food is produced, the viability of family farms, and local food systems.You can RSVP for the forum at https://blumenauerforms.house.gov/forms/form/?ID=11&Preview=true To What: Food and Farm Issues Public Forum w/ Rep. Earl BlumenauerWhen: Wednesday, January 24, 2018; 5:30-7pm. Doors open at 5pm.Where: Portland State University – Smith Memorial Student Union Ballroom, Room 355, 1825 SW Broadway, Portland, OR 97201The forum will also feature remarks from Ken Cook, president and co-founder of the Environmental Working Group and Chairman of the Board of Directors of Food Policy Action.See you there! Previous Post: Forest Grove Farmers Market Indoor Market Sunday, December 17,2017 12-4:00 pm today!Stock up for the holidays, DCCFW Raffle baskets.